In the past few weeks, media outlets have exploded with stories about the growing number of cases of influenza A(H1N1). Also known as Swine Flu, the illness is being watched closely by governments and people around the world. 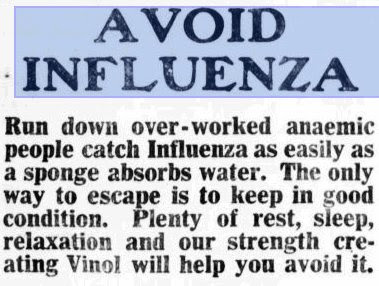 Looking back through the archives of Google News, parallels to the current media climate jump out immediately from previous worldwide influenza outbreaks, in 1957 and again in 1968. 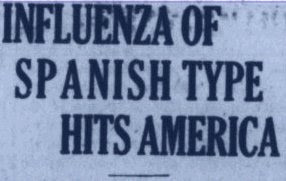 But the worst all influenza outbreak on record was the infamous global pandemic of 1918, which raged until 1920 and ended up claiming millions of lives around the world. I decided to take a long view on the cycle of illness and media coverage, using News archive search's Timeline view for the term influenza to focus in on articles from the United States in 1918. These materials were made browsable via our News Archive Partner Program.